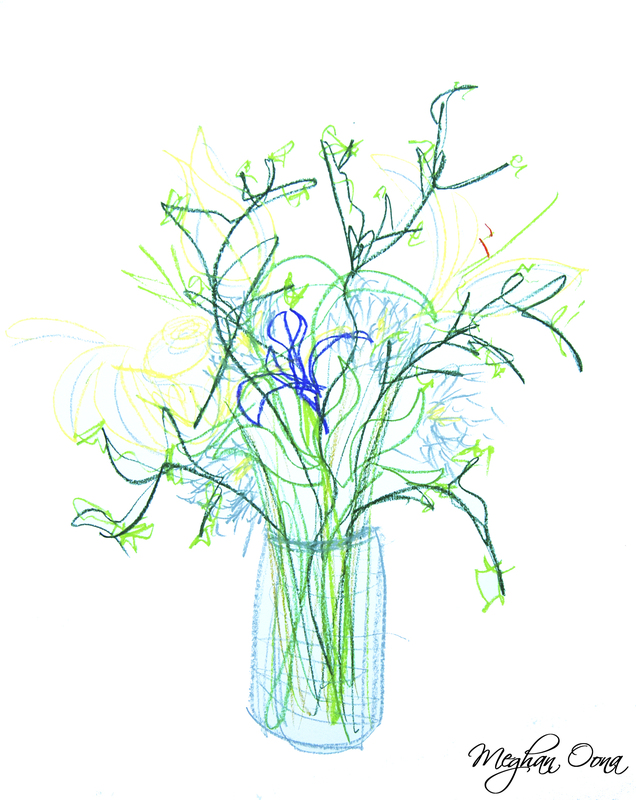 Experiment #18: After drawing with eyes closed, look at the plant, move with it once again and draw it with your eyes open… There is no need to make a likeness of the plant. Let you drawing be a new creation. Like a child who has qualities of both parents, the influence of the plant you see, combined with your own life force, will create a drawing with individual characteristics all its own. This piece was so much more about movement, feeling, and inner sensations of the flowers. Instead of trying for accuracy, I let my hand convey curves, lines, and growth spontaneously and freely. This piece was about the energy of the flowers, instead of a representation of them. 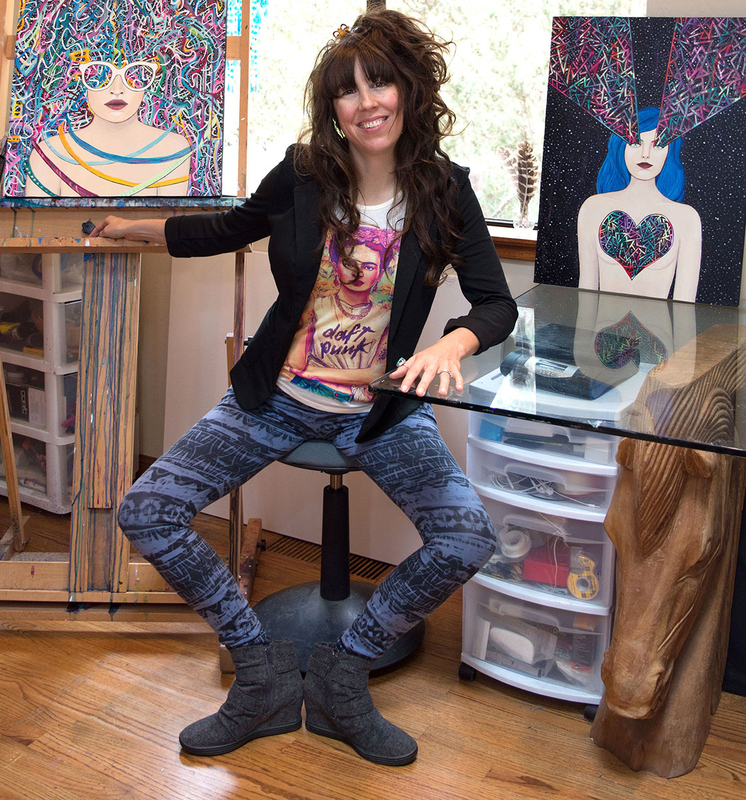 It was more fun to create, and I felt the same expansive energy inside me. Progress! The series together, I think, is such a cool study.